About | Wolfe Flooring Inc.
We are certified through IICRC and our vice president of operations is certified through CFI with R-I, R-II, C-I, and C-II classifications in addition to being Shaw SoftBac certified. Wolfe Flooring is a preferred installer of Durkan (Member ID 3702), Desso, and of U.S. Axminster. Click here to read more of our relationships with WFCA and the Central Florida Floorcovering Association. Let your mind be at ease when Wolfe Flooring is on the job. Wolfe Flooring maintains insurance coverage on all our vehicles, employees, business projects, and assets. We can typically process your request for proof of insurance within one business day. Please contact us to receive a certificate for general liability insurance, vehicle insurance, or workers' compensation insurance. Are you requesting our IRS Form W-9 to provide us a Form 1099-MISC at the year's end? Wolfe Flooring is an S-corporation. As a corporation, thankfully our customers do not need to file the IRS Form 1099-MISC for us. If a W-9 is still desired, we are happy to provide it. One of the unfortunate duties of Wolfe Flooring is that we are required by the State of Florida to collect sales and use tax. Below is our FL Sales Tax Registration to verify that we are authorized to collect sales and use tax. Also, below is an Annual Resale Certificate which our vendors request for taxing purposes. Please select any of the documents below to view or download official forms for Wolfe Flooring. (You must have Adobe Acrobat Reader in order to download the documents successfully.) If you prefer to receive these by mail, please contact us. Wolfe Flooring provides thousands of telephone quotes every year. Upon arrival at each customer's location, we take time to review the situation and confirm or adjust the price before we get started on the work to prevent any surprises. 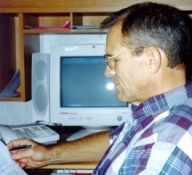 Projects that are inspected before pricing are usually given as firm, written quotes. Wolfe Flooring is not liable for necessary price adjustments due to problems with the subfloor or other factors beyond the review of a non-invasive inspection. Wolfe Flooring accepts Master Card, VISA, Discover, and American Express for most jobs; however, contract jobs are usually an exception. Furthermore, Wolfe Flooring accepts cash, personal checks, money orders, and cashier's checks. Our commercial clients are welcome to set up an account with Wolfe Flooring to receive a 30-day payment period. Click to read more about tax laws pertaining to the flooring industry. On a more personal note, James Wolfe started this company in 1980. 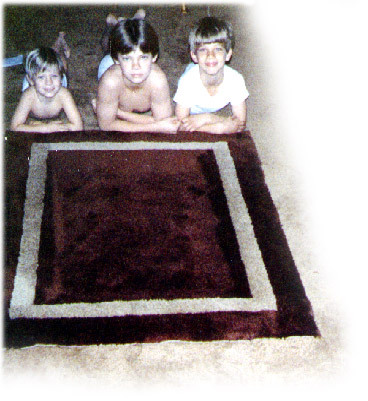 In time, Mr. Wolfe began to teach his three sons the carpet trade and also began to train others. Now, we are a family owned and operated business committed to standards of high quality assurance. The employees that have joined Wolfe Flooring through the years are wonderful people. They preserve the qualities of diligence and integrity. By God's blessings, we will be around for years to come. Wolfe Flooring guarantees our installation labor for all new products (carpet, vinyl, wood, ceramic, etc.) for one year. Our labor is not guaranteed if the flooring has suffered abnormal wear or damage as stipulated by manufacturers (e.g., pet urine in carpet). 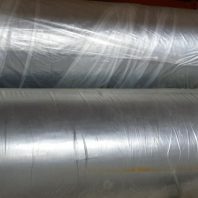 We also guarantee that seam sealer will always be used on all products where required and where the application conditions are reasonable. When doing construction related work such as new flooring installations, small amounts of debris or dust may remain after our clean-up. Some dust can find its way into the AC ducts when we are grinding concrete, sanding wood, etc. which is beyond the scope of our clean-up. Unless specifically stated otherwise in our proposal, our work is limited to a general clean-up. Vacuuming, polishing, dusting, mopping, etc. are beyond the scope of our standard approach. Wolfe Flooring will watch out for obvious abnormalities; however, we do not assume any responsibility for finding irregularities. Synthetic goods occasionally have variations that are unacceptable to the property owner. Beauty of natural products like wood and stone is enhanced by the distinctions in grain and color. These differences impart a warmth and individuality that make each floor unique. Customers are encouraged to examine products prior to installation. Moisture vapor emission testing, relative humidity, and pH testing indicate the moisture levels and pH of the concrete sub-floor at the time of installation. These tests do not provide static results and both moisture and pH can increase over time. Wolfe Flooring is not responsible for product failure as a result of changes in sub floor conditions, including increases in moisture and pH levels after installation. Warranties on new products are provided by the manufacturer of the goods, not Wolfe Flooring. Warranties vary among manufacturers and the grade of quality you purchase. If you suspect your flooring product is defective in some way, recommendations as to whether your flooring needs to be replaced or refunded is usually determined by a local independent inspector paid by the manufacturer. It's generally difficult to qualify for a manufacturer's refund or replacement. Warranties may be voided if maintenance instructions are not followed or if the product suffers a severe accident (e.g., fire, flood, etc.) or suffers abuse (e.g., sliding heavy objects across the floor). Homeowner's insurance may cover household accidents. Wolfe Flooring is not liable for preexisting problems with the subfloor including but not limited to cracks, humidity, unevenness, holes, old adhesives, urine, rust, chips, curling, etc. Wolfe Flooring will urge customers to fix such problems. Elections not to fix such subfloor problems will void the warranty of our labor and will likely void the manufacturer's warranty also. Carpet, vinyl, pad, tile and wood may be eligible for a refund or replacement if the product is defective or the labor was flawed. Please do NOT attempt to fix a problem that you have noticed. Please contact us as soon as damage is noticed because there are time limitations and because refunds are often prorated. We will promptly respond to all inquires. Thank you. Wolfe Flooring has no control over local conditions, including the presence of mold spores and the potential for the introduction of food sources; therefore, we cannot warrant against such conditions pertaining to microscopic organisms. Carpet warranties detail topics like Wear Warranty, Stain & Soil Resistance Warranty, Anti-Static Protection, Wrinkle Free Warranty, and Manufacturing Defects Warranty. Tile and Marble warranties detail topics like Wear Warranty and Manufacturing Defects. VCT manufacturers' warranties detail topics like Wear Warranty and Manufacturing Defects. Sheet Vinyl warranties detail topics like Wear Warranty, Manufacturing Defects Warranty, Discoloration Warranty, and Stain Resistance Warranty. Wood warranties detail topics like Finish Warranty, Structural Warranty, Moisture Warranty, and Refinishing Warranty. Laminate warranties detail topics like Wear Warranty, Manufacturing Defects Warranty, Anti-Fade Warranty, Anti-Stain Warranty, and Water Damage Resistance Warranty. Custom Rug warranties will include items similar to carpet. 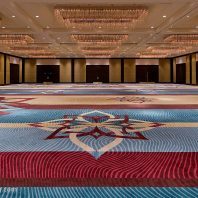 Hand-made or machine-made rug warranties detail topics like Color Fast Warranty, Wear Warranty, Stain & Soil Resistance Warranty, and Manufacturing Defects Warranty. Rugs purchased overseas may not have any warranties. We guarantee the structural soundness of the labor for one (1) year. 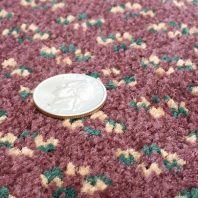 The same guarantees do not existing for our labor on existing flooring (e.g., restretching your existing carpet that we did not sell). When doing construction related work such as repairs, small amounts of debris or dust may remain after our clean-up. Some dust can find its way into the AC ducts when we are grinding concrete, sanding wood, etc. which is beyond the scope of our clean-up. Unless specifically stated otherwise, our work is limited to a general clean-up. Vacuuming, polishing, dusting, mopping, etc. are beyond the scope of our standard approach. Wolfe Flooring in no way guarantees the cosmetic outcome of a repair if we are working with worn goods or damaged new goods. Wolfe Flooring does not guarantee the structural soundness of repairs where there is excessive wear. We provide no warranty for carpet that has a delaminating backing. We provide no warranty for flooring materials that are contaminated with urine or other similar problems. Warranties for repairs are void if the subfloor has too high of a moisture content. Warranties are void if your flooring product suffers a severe accident (e.g., fire, flood, etc.) or suffers abuse (e.g., sliding heavy objects across the floor). Wolfe Flooring is not liable for preexisting substrate problems, including but not limited to cracks, humidity, unevenness, holes, old adhesives, urine, rust, chips, curling, etc. Wolfe Flooring will urge customers to fix such problems if discovered. Refusal to fix such substrate problems will void the warranty of our labor. Wolfe Flooring is not liable for preexisting problems with the flooring products, including but not limited to wrinkles, looseness, sunlight fading, weak seams, tears, burns, cracks, curling, cupping, spots, stains, separations, etc. You may be eligible for a refund or a second service call if the labor was flawed. Please do NOT attempt to fix a problem that you've noticed. Please contact us as soon as damage is noticed because there are time limitations and because refunds may be prorated. We will promptly respond to all inquires. Fiber matting hinders the cleaning process and should be accounted as permanent damage. Fiber matting is commonly associated with olefin (a.k.a., polypropylene) yarns. Wolfe Flooring is not liable for preexisting problems with the flooring products including but not limited to wrinkles, looseness, sunlight fading, weak seams, tears, burns, cracks, curling, cupping, spots, stains, separations, etc. You may be eligible for a refund or a second service call if the labor was flawed. Please do NOT attempt to fix a problem that you have noticed. Please contact us as soon as damage is noticed because there is a three (3) day time limitation. We will promptly respond to all inquires. Guarantees and warranties are through the manufacturers. Products which are special orders, opened, cut, or altered in any way cannot be returned. A 30-day money back guarantee is available for returned over-the-counter products like stain remover, odor eliminator, rakes, etc. If you purchased additional spotting products or bottled treatments, please use them according to the directions on the bottles. Refunds are limited to the purchase price of our product. Please mail the product back or drop the product off at our office for a full refund of the original purchase price (less shipping). Some products should be returned directly to the manufacturer. Contact us for a return authorization. Rug pads, fringe, and other specially cut products can NOT be returned due to the fact that these products are cut-to-fit for each customer. We will promptly respond to all returned products. Thank you. We are happy to report to you that the major manufacturing firms we work with like Shaw, Mohawk, Tarkett, Mannington, and DuPont have strict environmental programs that guide the production of their flooring products. Wolfe Flooring also has an environmental program that picks up where the manufacturers leave off. Virtually all the carpet cushion that we purchase is from recycled goods. Most used flooring products, like carpet, vinyl, tile, etc., are not readily accepted for recycling. In these cases, we dispose of the materials in accordance with state and local laws. There are flooring industry companies laboring hard in research for better recycling methodologies. In fact, we are anticipating BASF's 6ix Again Program or DuPont's Partnership for Carpet Reclamation Program or a comparable carpet recycling program will be available in the Tampa area soon. And, when the option becomes available, Wolfe Flooring plans to utilize this new environmentally friendly approach as well. Our detergents are similar to the detergents that everyone uses to clean clothes. (Of course, no cleaning solutions are safe for consumption or for contact with the eyes.) Concern for your health is one of the greatest reasons to have your flooring thoroughly cleaned on a routine basis. Finally, Wolfe Flooring's waste management extends to the reuse and recycling of materials like office paper to support the best utilization of the earth's resources. We have been serving flooring customers since 1980. We have broadening our experiences for more than 30 years. We will give you personalized attention. The vast majority (over 90%) of our business comes from repeat customers or referrals from customers. You want professional flooring. We provide the end results that we promise. The images in our gallery prove our abilities.